More families are spending time in our national parks than ever before, and it's no wonder given the range of kid-friendly activities, incredible views and programs that are available in our parks. Even better, thanks to the new Every Kid in a Park initiative, all fourth-graders and their families will be able to experience our national parks for free starting in the 2015-2016 school year. 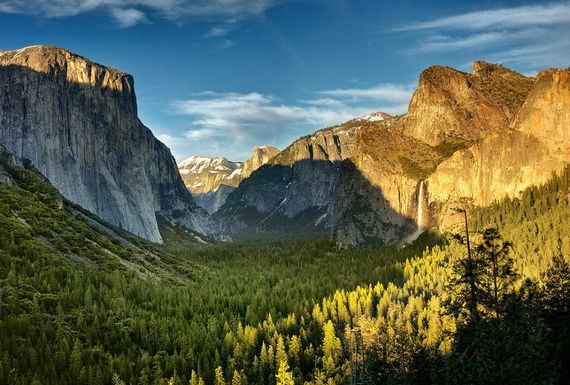 Among the most visited national parks is Yosemite National Park in California, which received nearly four million visitors in 2014 who came for Yosemite Falls, Glacier Point and Half Dome. Between hiking, biking, rafting and picnicking, there's plenty to do for families. Plus, kids will want to complete various activities to earn a Junior Ranger patch during their visit to Yosemite. The family-friendly Yosemite Valley area of Yosemite National Park is a great place to start for first-time visitors and is easily accessible from each of the park entrances. To get started, here are 10 must-do activities to make the most of a visit to one of our nation's most popular parks. 1. Take the Yosemite Valley Floor Tour. This two-hour open-air tram tour is a great way to get your bearings at Yosemite as park rangers introduce the must-sees, like Half Dome and El Capitan. Trams depart every hour during from Yosemite Lodge at the Falls. 2. Stop for photos at Glacier Point. Drive up to the Glacier Point overlook for spectacular views of Yosemite Valley and Half Dome. It's fantastic spot to watch the sunset, and park rangers come up in the evenings for sunset talks. 3. Hike to Yosemite Falls. 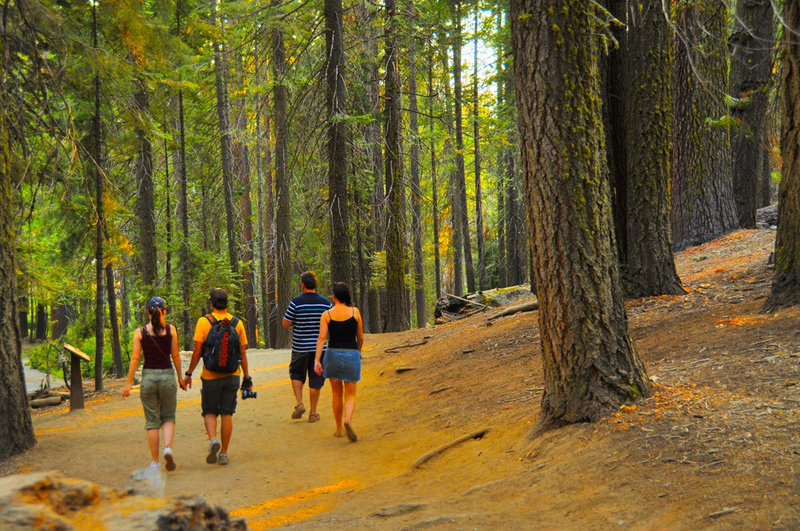 Take one of the park shuttle buses to the Yosemite Falls bus stop for an easy one-mile hike to Lower Yosemite Fall. 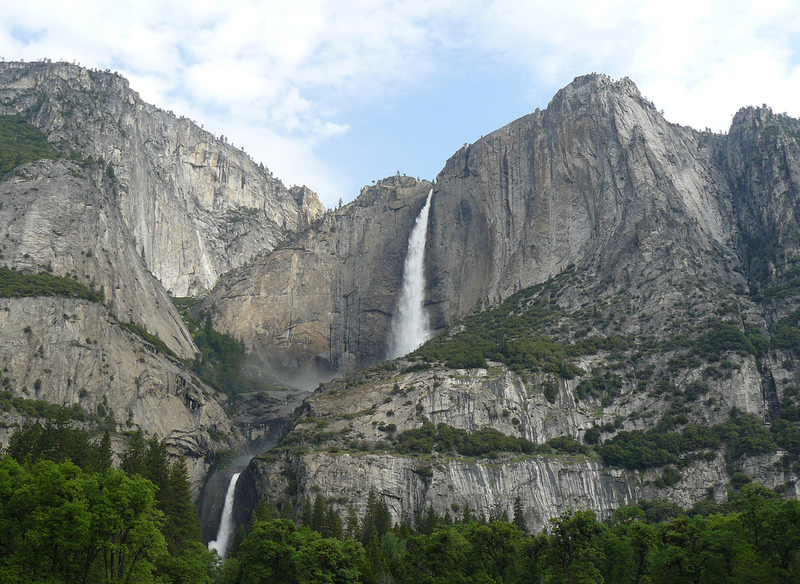 The short walk offers fantastic views of Upper and Lower Yosemite Falls. Little ones will love getting sprayed by water when standing on the footbridge. 4. Take in a ranger program. Pick up a Yosemite Guide from any of the visitors centers and plan to enjoy activities designed just for families, including ranger walks, night sky programs and scavenger hunts. All programs are available on a drop-in basis. 5. Have a picnic at Swinging Bridge. Pack a picnic lunch and plan to stop at one of the picnic tables at Swinging Bridge. There's plenty of space for kids to run around, and you'll be awed by the spectacular views of Yosemite Falls. 6. Take an art workshop. Sign up for an art workshop at the Yosemite Art Center in Yosemite Valley. One-hour art sessions take place several times a week for children ages 6 to 9. There are also 90-minute sessions for kids ages 10 and up. 7. See the giant sequoia trees. Kids will be awed by the giant sequoia trees at Mariposa Grove. Guided tram tours to learn more about the giant sequoias, including Grizzly Giant, one of the best-known trees, are also available to park visitors. 8. Stop at the Happy Isles Nature Center. Take a break and stop in the Happy Isles Nature Center. There you'll find wildlife exhibits and interactive displays. There are also several short trails nearby, including a 1.5-mile trail to Vernal Fall. 9. Enjoy an old-fashioned campfire. Most evenings, look for a one-hour Junior Ranger Campfire at the Happy Isles Nature Center. It's a fun way to end a busy day in the park and a great way to learn more from the resident park rangers. 10. Go on a full-moon bike ride. One of the more unique ways to explore Yosemite is by taking a two-hour full-moon bike ride. Rides leave at 8:30 p.m. daily, and it's best to sign up in advance. Take in the stars and incredible views of the moon with a park ranger. Yosemite Valley is home to Yosemite Village, which has gift shops, restaurants and a grocery store, as well as hiking and supply stores. 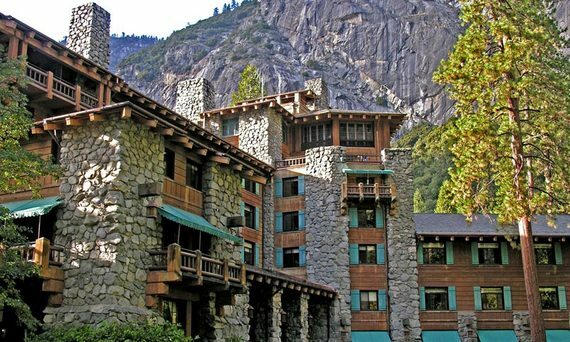 You'll also find several family-friendly hotels, including Yosemite Lodge at the Falls and The Ahwahnee. Outside the park, Evergreen Lodge and Tenaya Lodge are top picks for families visiting the park. 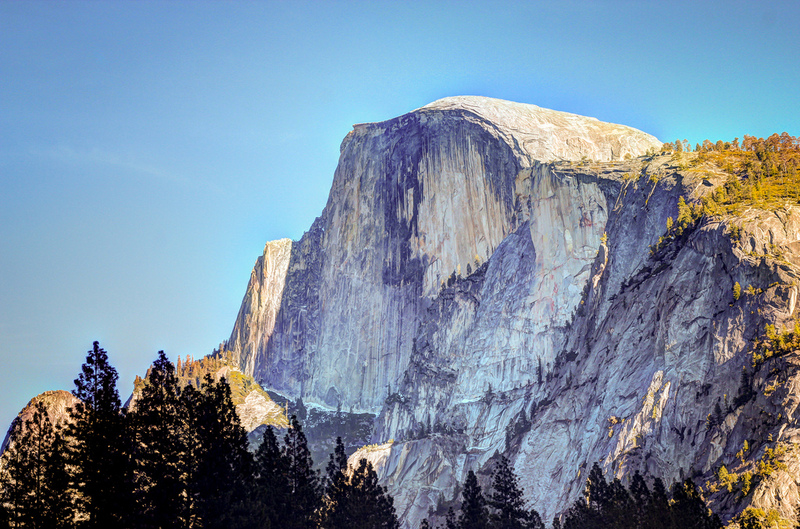 If camping is the plan, there are 13 campgrounds inside Yosemite National Park. Some take reservations, but others, including Bridalveil Creek and Tuolumne Meadows, accept visitors on a first-come, first-served basis. Outside the park, try Yosemite West/Mariposa KOA, which has tent sites and RV hook-ups, as well as cabins with bathrooms, beds, even full kitchens.